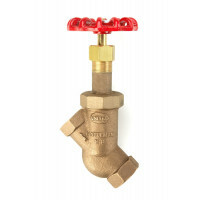 Model 325U Y-Blow Off Valve - United Brass Works, Inc.
Care must be taken in blow off piping so that no water hammer effect causes shock to the “Y” blow off valve, especially in cases where a boiler has two blow-off lines. In such cases both lines should be piped to a common set of blow off valves or each blow off line should be piped separately to the blow down separator. 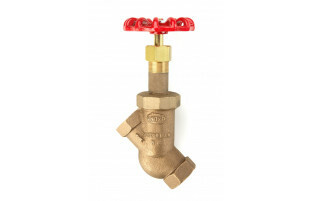 Excessive water hammer or shock can destroy valves and piping and could cause injury. Model 325U - 1 1/4"
Model 325U - 1 1/2"